Bosanquet first used this new delivery in first-class cricket in the game against Leicestershire in 1900. The “Googly” has turned out to be a potent weapon for wrist spinners in modern-day cricket especially in the limited-overs formats as it has proved to be effective irrespective of the conditions. The existence of googly wasn’t intimate in the sport as the official usage of this delivery can be dated back to the late 1890s, more than 120 years after the inception of first-class cricket. Bernard Bosanquet, an England cricketer, born on 13th October 1877, is considered to be the man who brought the “googly” into existence. 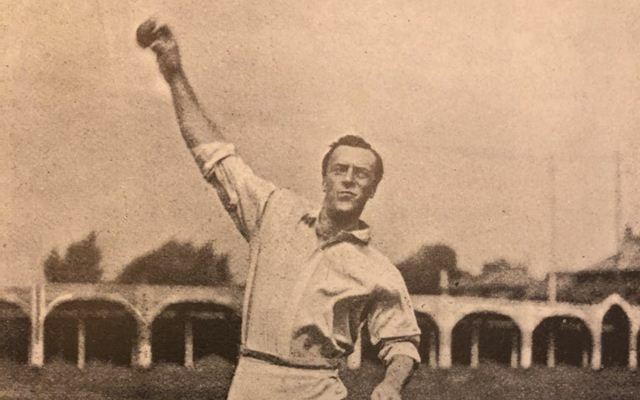 The most interesting aspect about Bosanquet’s bowling was that he was a medium pacer before developing him skills as a leg-spinner. Bosanquet practiced leg-breaks, which was the only delivery that leg-spinners would bowl before googly and other variations were worked out. In the 1890s, he started to practice a special delivery, for which he was inspired while playing Twisti-Twosti. It is a game where a tennis ball is to be bounced on a table such that the opponent fails to catch it. The Middlesex-born cricketer wanted to decisive the batsman with a delivery that could turn the other way. He also had to ensure that there was no change in his arm action and the practie with the Tennis-ball game certainly helped there. He started to work on the off-spin delivery as a leg-spinner during the lunch breaks in Oxford matches. In the nets, Bernard would bowl several leg-breaks, followed by an off-break, without changing his bowling action. This ball would sometimes hit the bemused batsmen on the knee, to the amusement of the spectators. Bosanquet first used this new delivery in first-class cricket in the game against Leicestershire in 1900. Having scoring twin centuries in the game, he was up against Samuel Coe who was batting on 98. Bosanquet bowled the off-break which bounced four times and had the batsman stumped. He wanted this ball to be considered a fluke for a while so that he could continue to deceive the batsmen without them even expecting it. During Lord Hawke’s tour to New Zealand in 1902-03, Bosanquet’s delivery started being referred to as a “googly”. Pelham Warner claimed that the first usage of this word was by the Lyttelton Times, a newspaper based in Canterbury, New Zealand, during this tour, but subsequent research has failed to verify it. Some claim a Maori origin for this word, which some other explain it as a derivation of “guile” (Meaning: cunning) or from the word “googler” (Meaning: A high, flighted delivery at the time).